Such a level should be achieved within a time frame sufficient to allow ecosystems to adapt naturally to climate change, to ensure that food production is not threatened and to enable economic development to proceed in a sustainable manner. While the protection of food security particularly for the most climate change vulnerable regions and populations, that are specifically listed in the climate convention, is a clear requirement of the industrialized nations - this is not being acknowledged by these nations nor by the climate change scientists who in general follow the IPCC lead of avoiding the question. The notable exception is America's eminent scientist John Holdren , who has been lecturing to scientific audiences since 2006 explaining why the world is beyond dangerous climate interference. Climate change is coming at us faster, with larger impacts and bigger risks, than even most climate scientists expected as recently as a few years ago. The stated goal of the UNFCCC – avoiding dangerous anthropogenic interference in the climate – is in fact unattainable, because today we are already experiencing dangerous anthropogenic interference. The real question now is whether we can still avoid catastrophic anthro-pogenic interference in climate. There is no guarantee that catastrophe can be avoided even we start taking serious evasive action immediately..
​​An unusually long warm period of relatively stable atmospheric GHG concentrations temperature and climate 10,000 years ago led to the development of agriculture on several continents. Todays extremely rapid sudden increase in the three main atmospheric GHGs will lead to a hot chaotic climate that will not sustain agriculture. The IPCC has a strict policy of not defining or recommending on climate change danger. The IPCC scientists say this is a value judgment that scientists cannot make - only policy makers can do that, they say. Policy makers ​​say that they can't define climate dangers because that is not defined by the UN Framework Convention on Climate Change. That is not true because the clearly stated intention of the convention news to avoid dangerous interference with the climate system and as expected one of the definitions of this is to avoid threats to food production. ​​Adverse effects of climate change occurs in the text of the convention. The definition includes managed ecosystems which is agriculture, and human health and welfare which depend on agriculture. ​​Misunderstanding of the climate convention whether intentionally convenient or not is not enough reason for ignoring the issue of climate change dangers to food security. There are two other reasons. ​​The assessment of the impacts and risks from global warming and climate changes on crops has been assessed using climate crop computer models. If these models are extremely deficient in the number of variables that they can handle. ​​In the climate crop models still only capture about half of the known adverse impacts from global warming and climate change on crops. As a result of science that is reported greatly underestimates of the dangers to Food Security. ​​From the earliest assessments right through to the 3rd IPCC assessment in 2001 assessing (up to 2100), the models indicated the temperate region agriculture in the northern hemisphere would not suffer from global warming and climate change and would likely benefit, while the low latitudes and southern hemisphere regions would suffer food productivity losses. With some degree of improvement of the models, the situation changed in the false IPCC assessment in 2007. 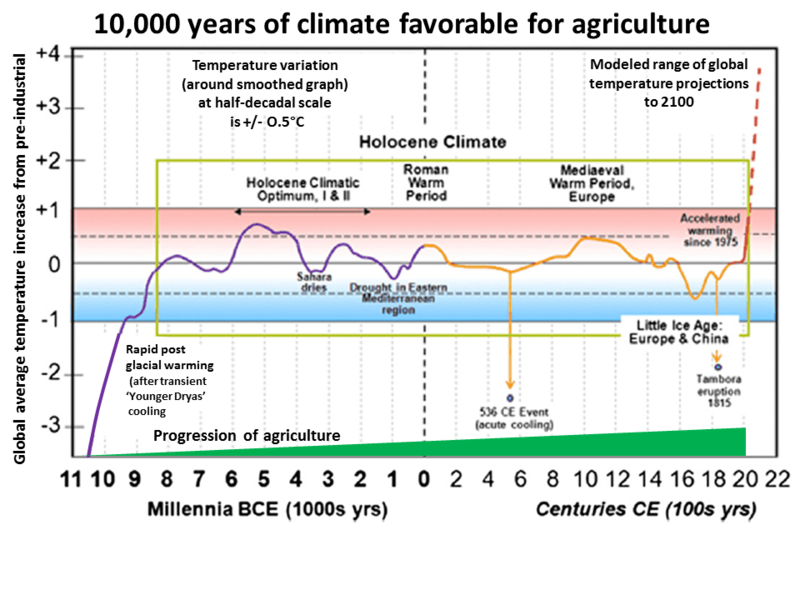 At the end of this assessment, the northern hemisphere did not know how the Food Security from global warming and climate change would affect it in this century. 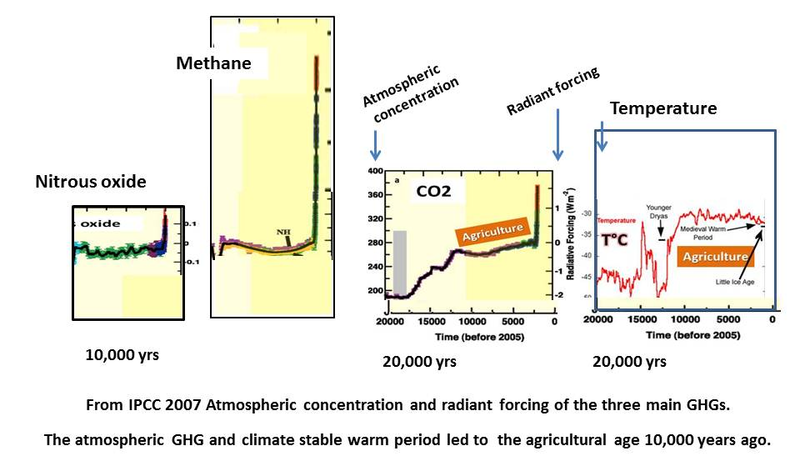 The IPCC Sound but the zero to call benefit of CO2 fertilization and modeled warming could not be taken for granted and if it did it, it would be moderate and brief of two, which time northern hemisphere crop productivity would decline with increasing temperatures. However this change has not been picked up by the policymakers and others involved in global climate change decision-making. You still widely reported that the northern hemisphere would not lose Food Security while the subtropical regions and regions in the southern hemisphere would. 1. 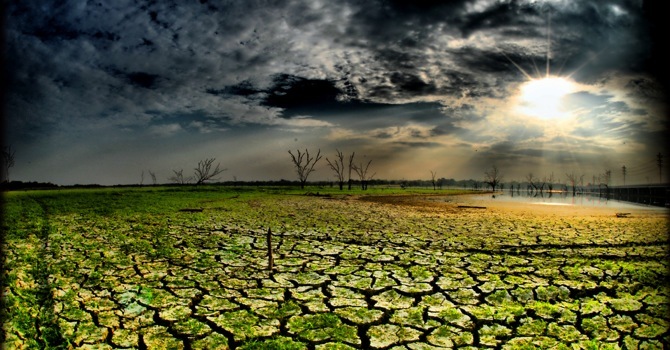 "Adverse effects of climate change" means changes in the physical environment or biota resulting from climate change which have significant deleterious effects on the composition, resilience or productivity of natural and managed ecosystems (i.e. agriculture, forestry) or on the operation of socio- economic systems or on human health and welfare.